Golf Course Hotel is a World class luxurious Hotel offering you a true definition of comfort, hospitality and serving you right from our hearts. 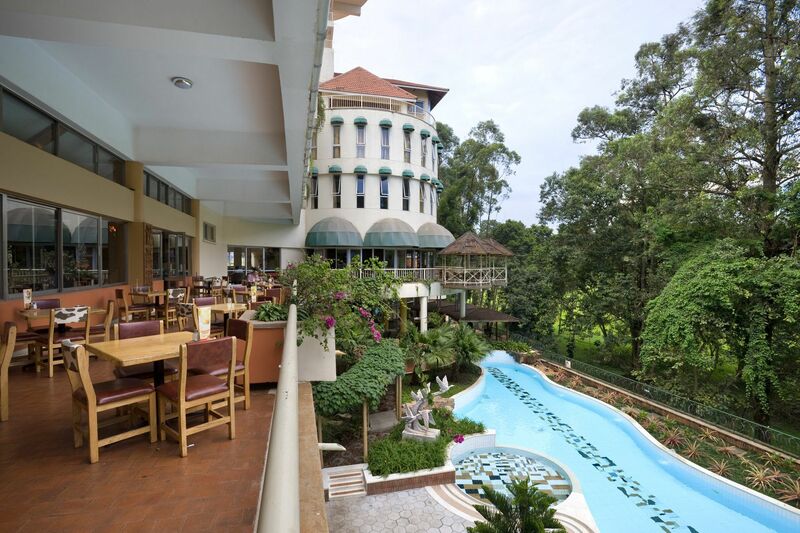 With our location in the most serene environment; adjacent to the Uganda Golf Club, you are assured of an ever green environment and freshness and ambience. Golf Course Hotel is designed to offer you the best of comfort with our spacious rooms, making Golf Course Hotel an ideal destination for discerning travellers from all over the world. 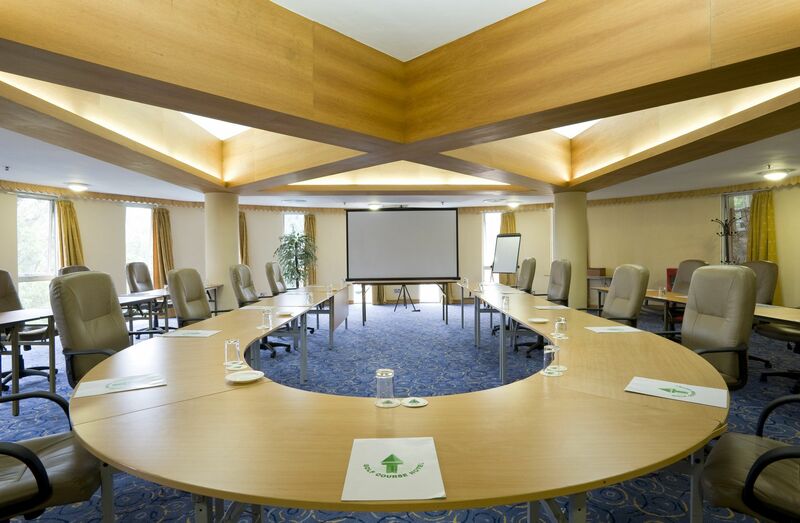 Our professional and skilled staff ensures that every person is a highly treasured guest. 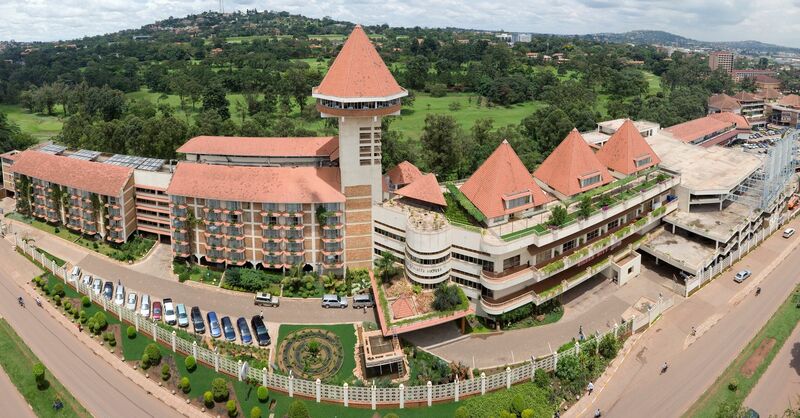 The Hotel is conveniently located within a 45 minutes’ drive from Entebbe International Airport and only 5 minutes from the Kampala city center. Our location is perfect and convenient for honeymooners, business travelers, tourists, and those who wish to have a memorable visit to the ‘Pearl of Africa’, Uganda. RESIDENTS' LOUNGE: Our guest lounge is an area of supreme comfort. It’s much more than just a place to rest and also offers a gorgeous garden view of the Kitante Golf Course. GARDEN CITY SHOPPING BANKING AND LEISURE CENTER. 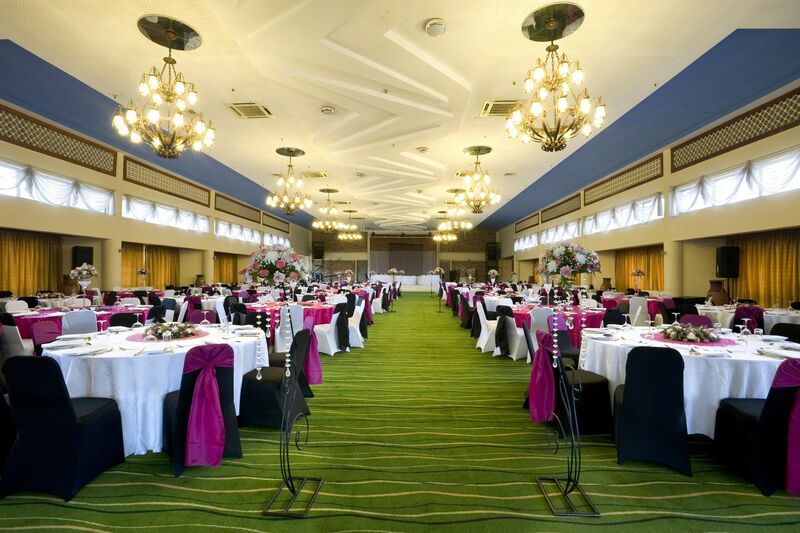 Garden City shopping, Banking and leisure center is just minutes away from Kampala city center on Yusuf Lule road. This large complex offers one stop shopping for your business, banking, leisure and shopping needs with free, secure and ample parking space. Garden City Complex is your home of entertainment with well stocked supermarkets i.e, Capital Shoppers and Mega Standard supermarkets, numerous restaurants and the food court- offer a wide a variety of cuisine, to children’s play area and Aristoc Booklex, the leading bookstore in Uganda. Garden City shopping mall also caters for all your banking needs with many banks having their branches operating here, like; Barclays Bank also accepts major credit cards like master and visa cards, Stanbic Bank, Crane Bank and Standard Chartered Bank. Metropolitan FOREX bureau will cater for your foreign exchange needs too. The Complex also houses several souvenir shops, choose from a wide selection African Crafts at Banana Boat Shop situated at the ground floor. Other gift shops include; Gifts & More, Swatch Ltd. For your salon needs, hair styling, facials, manicure & pedicure, haircuts, massages, body steaming & waxing, Garden City Shopping Mall has fine beauty parlors and Cosmetics outlets around Kampala. For your gambling crave, visit Casino Simba, a subsidiary of Pasha Gaming Group. Enjoy great music with your favourite drinks while you spin games of fortune like Black Jack or poker and with over 90 other gaming machines and around 20 table and poker games. 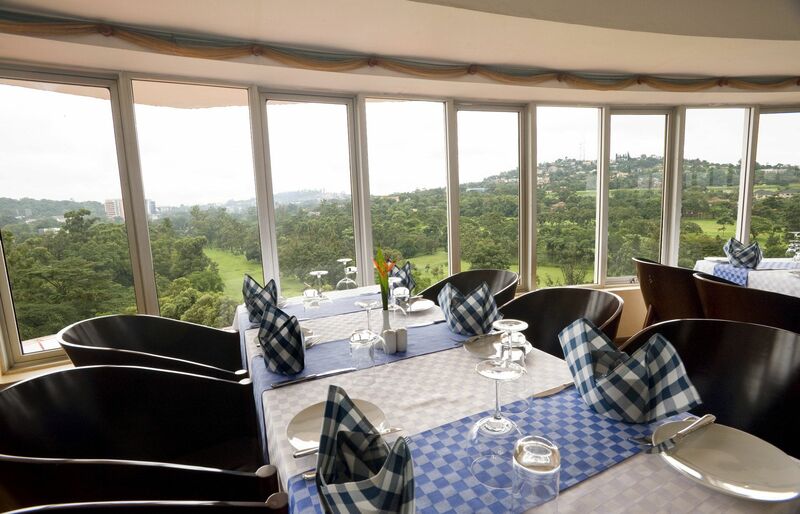 THE 7HILLS REVOLVING RESTAURANT The 7Hills Revolving Restaurant is the ﬁrst and the only one of its kind in Uganda, invites you to enjoy delicious and creatively primed Continental cuisine and a treat to exciting and breath-taking views of Kampala’s hills as the restaurant revolves whilst you enjoy your meal, allowing you to see different views throughout your feast. Our Head chef specialises in creative and modern cooking with sea food influences. 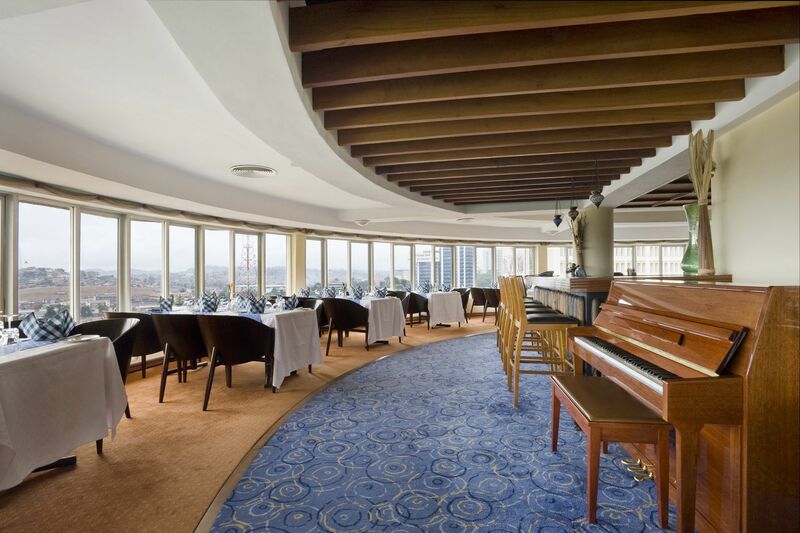 Make your RESERVATION now with the Best Fine-dining Restaurant in Kampala, The 7Hills Revolving Restaurant. Seven Hills Revolving Restaurant was voted 9th best spinning restaurant in the World. More Info: Location: In HOTEL 12th Floor Serves: Continental Cuisine. Lunch & Dinner by RESERVATION. Open: Monday –Saturday (closed on Sundays). Time: Lunch-12:30pm-3:00pm, Dinner-6:30pm-11:00pm. BAMBOO TERRACE (24HRS. COFFEE SHOP) Bamboo Terrace (Coffee Shop) A 24hrs open Coffee Shop which charms you with sophistication and a savor of grandeur… A naturally fresh ambience, tea and coffee brewed to a perfect taste... irresistibly tempting Cuisines and fresh fruits as well as foodie sandwiches, blended amicably to craze the ideal retreat for buffet or Ala-carte. More Info: Location: In hotel, Lobby Level Serves: Breakfast, Lunch & Dinner Open: All week Time: 24hrs a Day SILVER CITY SPUR Since 1967, when founder and executive chairman, Allen Ambor, opened the Golden Spur in Newlands, Cape Town, Spur Steak Ranches have been part of the South African family. We've also grown into an internationally recognised brand with over 237 local and 28 international restaurants. Pop in to Silver City Spur Kampala and enjoy the great taste of our Steaks, sea food and vegetarian dishes. So, what's our recipe for success? Simple: a warm, relaxed, family-friendly environment; generous portions of great tasting food; and a hearty helping of quality! More Info: Location: In hotel, First Floor. Serves: Lunch & Dinner Open: All Week Time: Sun-Thur-12:00pm.-11:00pm, Fri-Sat-12:00-12:00am. THE GREEN BAR The Green Bar, is mainly meant for hotel residents but its tranquility attracts the corporate world as an exceptional rendezvous to conduct business as they sip our selection of tempting beverages from smoothies to special cocktails. Relax in the amazingly designed bar with hanging gazebos overlooking the golf course, with soothing soft music from our pianist and bitings as you enjoy your evening in style. More Info: Location: In hotel, First Floor. Serves: Alcohols, Tea /Coffee and Tasty bites. Open: All Week Time: 12:00noon.-11:00pm, Fri-Sat-12:00-12:00am. 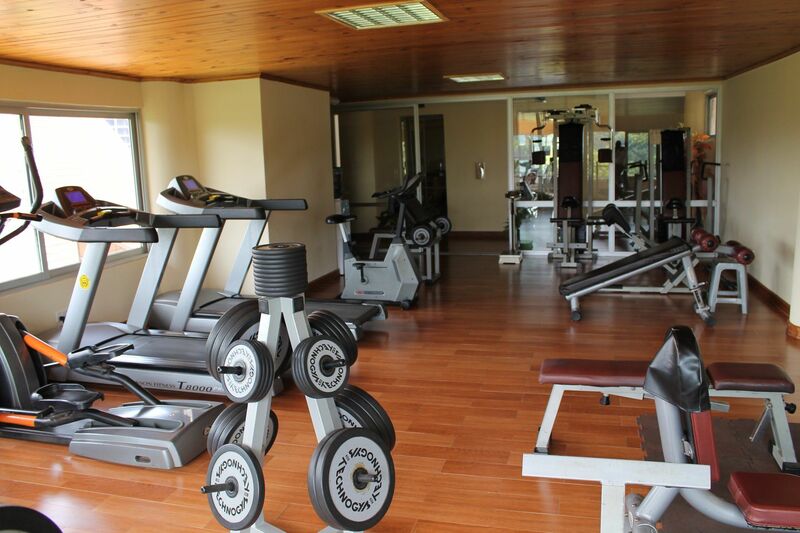 HEALTH AND FITNESS GYM : The hotel has a well-equipped Gym with massage rooms on the 7th floor. Exclusive to in-house guests. SWIMMING POOL : The hotel is blessed with an Olympic length swimming pool. SPORTS. Tennis and squash courts available nearby (Golf Course Apartments).